History is far from fixed, and a recent exploration of the Cambodian jungle near the Angkor Wat temple shows how malleable contemporary visions of the past can be. Through the use of modern technology, archaeologists have discovered a wealth of once undetected cities built in the region thousands of years ago, reports The Guardian. 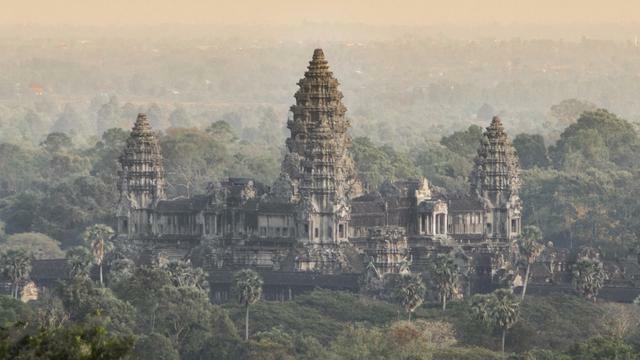 According to the Washington Post, the findings will likely reshape current understandings of the Khmer Empire, Angkor's ultimate demise, and the study of Southeast Asia's bygone days. Using light detection and ranging, or lidar, equipment, lead researcher Damian Evans and his team were able to scan the ground beneath the area's lush cover and reveal traces of once-established communities. Among the most spectacular finds is the remainder of the city Mahendraparvata, notes the Phnom Penh Post. While parts of the large development were detected in 2012, it was recently discovered to be much more massive than believed, likely rivaling the size of Cambodia's capital, Phnom Penh. The team is still sifting through the wealth of data it gathered, and is confident many more extraordinaryrevelations are to come.